A planned, two-building multifamily project near the Wiehle-Reston East development has landed the financing needed to break ground. Rooney Properties secured $29.1M in preferred equity from Parse Capital for the 407-unit Faraday Park development. HFF’s Walter Coker and Brian Crivella brokered the deal on behalf of Rooney. 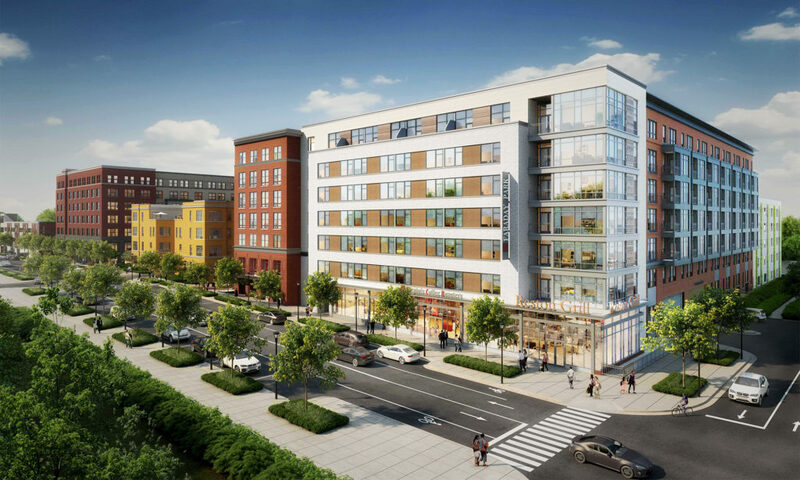 The project, branded as Faraday, will consist of two seven-story multifamily buildings with 10K SF of ground-floor retail at 1831 Michael Faraday Drive in Reston. The site is currently occupied by a low-rise office building. It sits within a half-mile of the Silver Line station and 1 mile from the Whole Foods-anchored Plaza America shopping center. MV+A designed the buildings, which will include units ranging from studios to three-bedrooms averaging 842 SF. They will feature amenities such as a rooftop swimming pool, a fitness center, kitchen and dining space, coworking space, a dog park and a refrigerated package room. With the financing deal secured, HFF said construction is slated to begin immediately. “This investment is an endorsement of the strength of the Reston market and demonstrates the ability of experienced developers like Rooney to obtain capital for best-in-class projects,” Crivella said in a release.